Behind every product, there is a Kyani scientific advisory board of highly renowned doctors and scientists from a diverse range of biological, nutritional, and internal specialties. 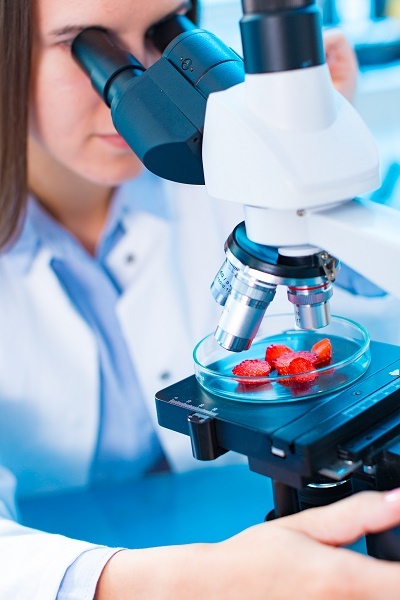 Through continued research and application, the board members incorporate the very latest technology and science as it relates to the supplementary performance of every specifically chosen ingredient. Kyani’s advisory board members also provide instructional information to all Kyani distributors. While certain product formulas remain the controlled property of the company, there is an unlimited amount of scientific information available on the wellness benefits of each ingredient in each Kyani product. Throughout the 10+ years that Kyani has been available to the public, their line of health and wellness supplements are the result of applying the information resulting from a vast number of scientific studies that involved every ingredient used in all of the Kyani products, affectionately known as the Triangle of Health. These independent research projects and studies were conducted by hospitals, health institutes, research laboratories, and medical universities from around the world. In addition to more than 20 essential vitamins and minerals, Kyani Sunrise features the Wild Alaskan blueberries. Numerous studies conducted at private research facilities and governmental laboratories report that the prominent health enhancing properties in blueberries are their high level of antioxidants. Further, it was reported that blueberries grown in the harsh Alaskan environment have resulted in the fruit possessing 1000 percent more antioxidant properties than farm harvested blueberries. 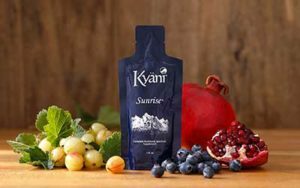 As the name implies, Kyani Sunrise is the ideal way to start the day with a full complement of the body’s vital nutritional requirements. The individual health benefits of these ingredients can be found on the Kyani Sunset page. Sunset is the second Kyani product in the Triangle of Health. As the name implies, it is intended as a supplement for the evening and overnight hours. The world has long known of the property values of the Tocopherols, the most widely used form of Vitamin E. But, recent Kyani science studies, and peer-reviewed articles, have shown that the Tocotrienols are even more effective in reducing inflammation, supporting heart health and healthy blood sugar levels. The purest form of delta and gamma Tocotrienols are harvested from the seeds of the Annatto Bush in South America, and it is the source of the Vitamin E used in Kyani’s Sunset dietary supplement. A new study started in August 2015 is researching the effects in human participants with elevated triacylglycerols who take Tocotrienols, Omega-3 fatty acid, and a medicinal food containing antioxidants. The study is funded by Designs for Health, Inc. and Primus Pharmaceuticals, Inc. Each serving of Kyani Sunset contains 100 mg of Vitamin E Tocotrienols, consisting of 90 percent Delta and 10 percent Gamma. Medical research and Kyani science studies has confirmed that Omega 3 is an essential fatty acid found throughout the body in every cell. Unfortunately, this important brain and heart molecule, cannot be created by the body, and must be acquired from dietary nutrients. Scientific research has validated that the Omega 3s, in particular the EFA and DHA forms, reduces inflammation and maintains healthy cholesterol levels. The Omega 3s extracted from Wild Alaskan Sockeye Salmon and other wild fishes contain very high levels of both EFA and DHA. These Omega 3s are precisely what is integrated in Kyani’s Sunset supplement. 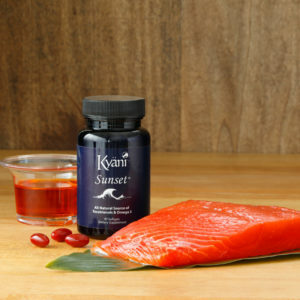 Each serving of Kyani Sunset has a proprietary blend of 500 mg of Omega 3s consisting of EPA, DHA, Alaskan wild fish oil, and Alaskan wild sockeye salmon oil. Another component of Sunset is Kyani’s use of Beta- Carotene (Vitamin A). Each serving of Kyani Sunset has 5000 IU of Vitamin A Beta-Carotene. The last part of Sunset’s powerful combination is the inclusion of Cholecalciferol (Vitamin D3). Scientific research has confirmed the body’s need for Vitamin D. While the body can produce Vitamin D with sufficient exposure to the sun, busy lifestyles and air pollution have limited the body’s ability to create adequate of this essential vitamin. The one perfect alternative is a Vitamin D3 supplement. Each serving of Kyani Sunset contains 400 IU of Cholecalciferol (Vitamin D3). In summary, Kyani Sunset is the only nutritional supplement available that combines the dietary essentials of Tocotrienols and Omega 3s in a truly powerful combination. The latest member of the Kyani product line is known as the Nitro Family consisting of Nitro FX and Nitro Extreme. Nitric Oxide is a molecule that has been proven to benefit every cell in the body. Three American scientists were awarded the 1998 Nobel Prize for Medicine based on their discovery of the cardiovascular system’s reliance on nitric oxide for regulation and performance. Nitric Oxide leads to better circulation and more energy, reduces inflammation, and sustains the immune system. While nitric oxide is produced by the body, it only remains active for a few seconds. During this time, it activates the guanylate cyclase (GC) enzyme. GC remains in the body for several hours and impacts the cardiovascular system. The foundation of the Nitro FX and Nitro Xtreme supplements is a proprietary blend of organic noni juices that, when ingested, mix with stomach acids and is converted into nitric oxide. Morinda Citrifolia is the scientific name for the noni fruit and it’s the most powerful source of natural nitrates and nitrites. One serving of Kyani Nitro FX contains 80 mg of concentrated noni and is beneficial for non-demanding daily routines. 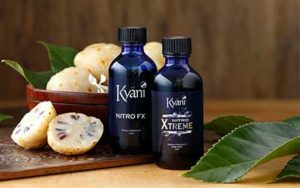 Kyani Nitro Xtreme goes one step further than Nitro FX. This supplement begins with the 80 mg of concentrated noni provided in the Nitro FX and then adds several more ingredients for optimal mental and physical performance during demanding and stressful periods.